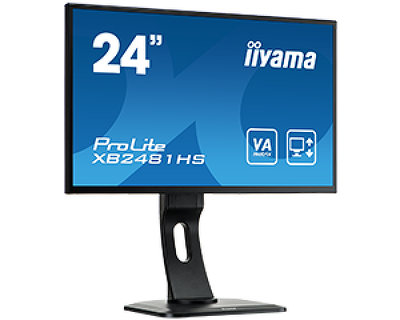 ProLite X2481HS and XB2481HS are iiyama’s latest 24” desktop monitors, featuring VA LCD panel technology, delivering vivid and bright colours, high contrast and superior viewing angles. 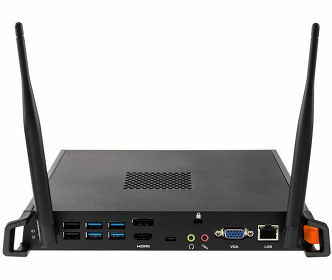 This new series therefore provides excellent performance for Photography, Graphic and Web design, with a particular focus on the demanding business user who requires a multi-monitor configuration to manage and manipulate multiple applications. If the thought of gaming or working on multiple displays entices you, the 81 series monitors are the perfect choice; their slim bezel design, a critical element for a multi monitor setup, the VA panel and wide viewing angles, guarantee optimal viewing performance. The professional appearance of the ProLite XB2481HS incorporates an ergonomic stand which rotates, tilts and is 13 cm in height adjustable. 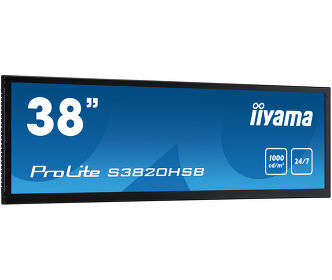 Another unique feature of this monitor is the ability to pivot between landscape and portrait mode; a function that is further enhanced by the wide viewing angles of VA technology, offering outstanding visual performance. Both, ProLite X2481HS and XB2481HS have integrated speakers and a range of connectivity options. The new generation ProLite XB2481HS and X2481HS are now available across Europe and are standard offered with 3 years ‘on-site’ Advance Exchange Warranty*.